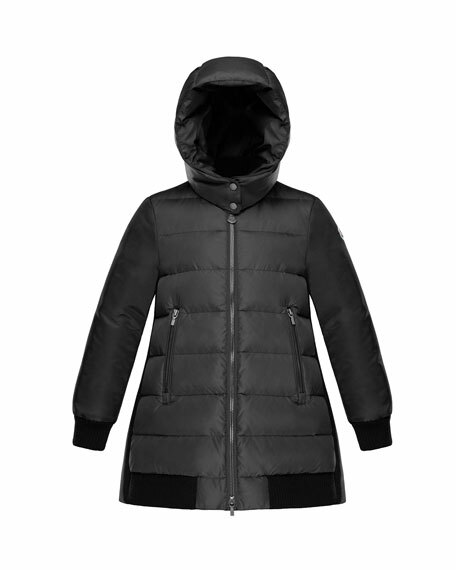 Moncler "Blois" quilted coat with contrast back. Zip pockets at front waistline. Outer front, hood, sleeves, and lining: nylon. Outer back: virgin wool/nylon/other fiber. For in-store inquiries, use sku #2659795.